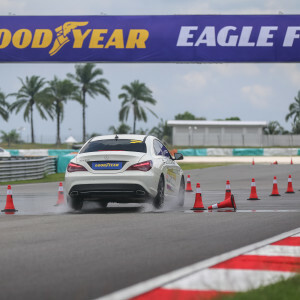 Goodyear has launched its latest premium tire, the Eagle F1 Asymmetric 3, in Malaysia. This premium, luxury sport tire delivers a 31% better wear performance and shorter braking distance on dry & wet roads helping drivers to stay in control and to enjoy the journey. With proven Eagle family test wins and an OE track record, including the new Jaguar XF, it is Goodyear’s premium offering for excellent braking performance, responsive handling and control in both dry and wet conditions. The premium sport segment is clearly a growth market, expected to increase with an compound annual growth rate of more than 6% from 2016 to 2020 in Asia Pacific. This is primarily driven by expected growth in China (5.9%), Australia (5.7%) and ASEAN countries (9%). The new Eagle F1 Asymmetric 3 is packed with new technology. The new Grip Booster Technology comprises a grip booster compound and adhesive resin for stickiness, which deliver strong grip for shorter braking and improved handling. The Active Braking Technology increases the contact surface and grip when braking, which allows for a shorter braking distance. The new reinforced construction technology delivers a stronger, lightweight construction improving handling, cornering performance, tread wear and fuel efficiency. The Eagle F1 Asymmetric 3 has been tested by independent organization DEKRA which resulted in a strong performance on tread wear compared to other premium tires on the market. In fact, the Goodyear Eagle F1 Asymmetric 3 is projected to offer up to 11,500 km extra mileage (or +31% better wear performance) versus the average of three leading competitors. Additionally, the independent TÜV Süd Benchmark Test ordered by Goodyear show that the Eagle F1 Asymmetric 3, compared to the average of three leading competitors, having a 2.6 metre shorter braking distance (9% better performance) on wet roads, a 1.3 metre shorter braking distance on dry roads (4% better performance) and 4% better wet handling. The same test results also show a 10.9% better rolling resistance compared to the average of the three tested competitors, which represents the second best rolling resistance performance of the tire brands tested. 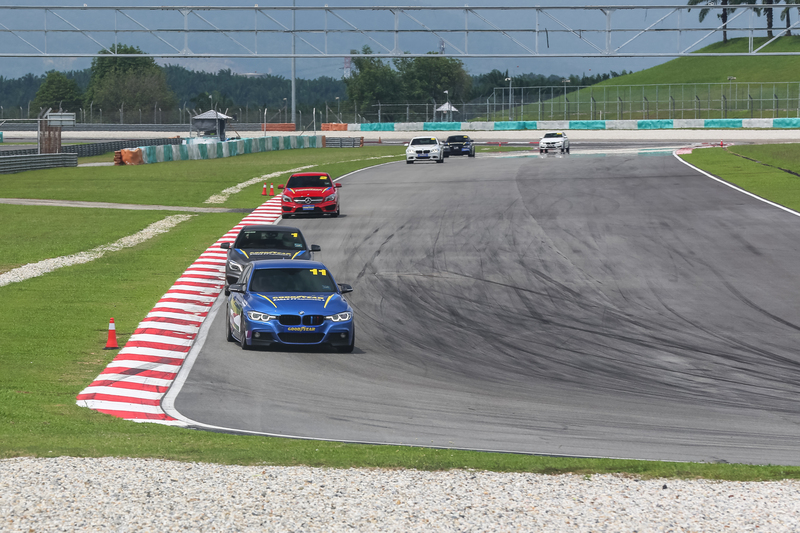 “Malaysia’s tire market is forecasted to grow at a CAGR rate of 3% during 2016 – 2020, the replacement tire market accounted 80% market share in 2016 is anticipated to grow through 2020. 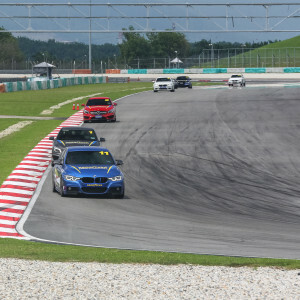 With that, the introduction of the Eagle F1 Asymmetric 3 tire is in line to meet the growing demands of the premium sport tire segment here in Malaysia, both in the OEM and consumer market.” said Ben Hoge, Managing Director of Goodyear Malaysia Berhad. “Goodyear is known for its commitment to innovate and to offer superior performing products to its consumers. 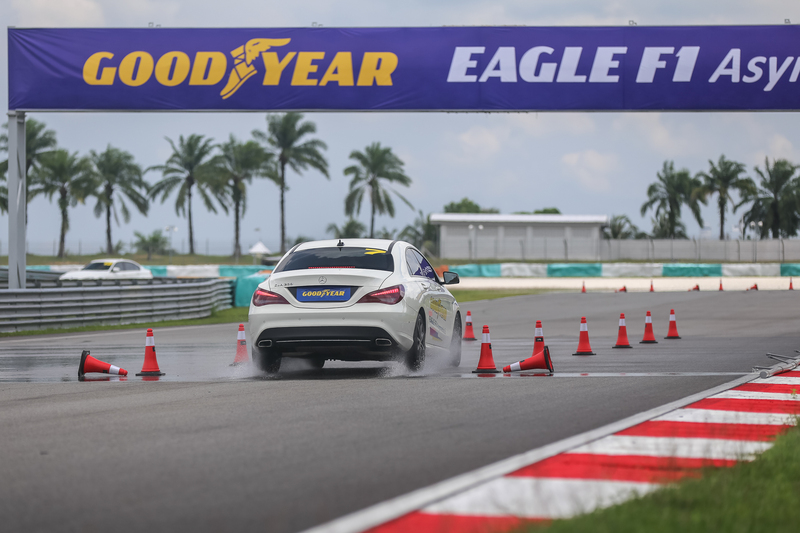 The Eagle F1 Asymmetric 3 is designed to suit the needs of consumers in Malaysia, and tested to Goodyear’s highest standards to provide confidence that it will perform on the region’s roads. It has also been accredited as original equipment for some of the world’s leading cars such as the Jaguar XF, Mercedes E-Class, the BMW 5 series, Alfa Romeo Guilia, Chevrolet Camaro and the Porsche Panamera.With its improved grip and braking technology, the Eagle F1 Asymmetric 3 demonstrates Goodyear’s brand promise of offering greater peace of mind, regardless of the destination,” Ben added. For the Malaysian market, the new Goodyear Eagle F1 Asymmetric 3 tire will be offered in 17” to 20” rim diameter variants, with up to 34 sizes available. The Goodyear Eagle F1 Asymmetric 3 tire retails from RM668 to RM1,820 inclusive of GST, depending on different sizes. Consumers can now purchase the Eagle F1 Asymmetric 3 tires at Goodyear Autocare and Servitekar outlets, as well as authorized Goodyear dealers nationwide.